It’s been a while since the iOS stylus beat has had anything truly revolutionary come down the pipeline—Apple only offers so many tools for stylus manufacturers and app-makers to use, and often at a compromise. But iOS 8 looks to shake up this status quo somewhat with a new tool for developers: touch sizes. According to a blog post from FiftyThree, makers of the Paper drawing app and accompanying Bluetooth stylus Pencil, iOS 8 will bring a new update to their app—“Surface Pressure.” No, this doesn’t mean actual pressure sensitivity, à la Wacom; instead, Paper works together with Pencil to note how much of the Pencil nib you’re pressing to the screen. Depending on the tool you’re using, applying more of the nib to the screen gets you pencil shading, a larger ink brush, or dynamic eraser sizing. Other apps and stylus-makers have attempted to provide line variance before, but the controls were primarily speed-based—draw fast for small lines and slowly for big lines—or by figuring out pressure entirely on the pen side, with no input from the iOS screen. If iOS 8 does in fact bring these kinds of tools, this is potentially a huge accuracy improvement for drawing programs. 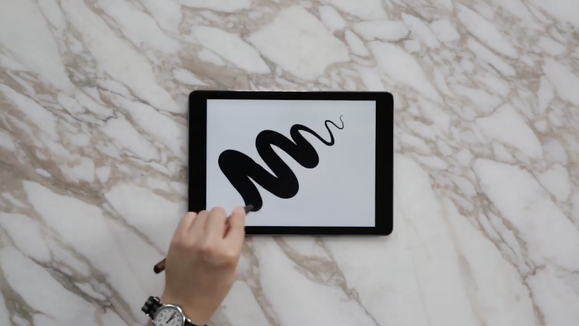 Still, it won’t be a true replacement for a pressure-sensitive brush, but it’s a nice step in the right direction and allows FiftyThree to expand the Pencil stylus’s functionality. I really liked Pencil when I reviewed it last December, but one of my major critiques was lack of variable line widths; it’ll be exciting to test this feature when iOS 8 rolls out in the fall.